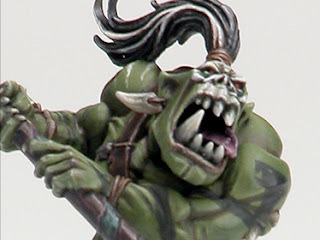 So Games Workshop has finally posted Golden Demon 2012 coverage to their website. I've been waiting almost a year to see how I beat out to get second place, not bad. I have to say I am somewhat disappointed with the quality of some of the winners. I feel like I had entered into a few more categories I would have taken home more trophies, especially 40k vehicle and duel. The categories with best entrants are 40k single and squad, WFB single and monster and LOTR. Just saw that on the GW website, congrats again! Now go get 1st this year! Congrats mate ! Great work ! Big fan !